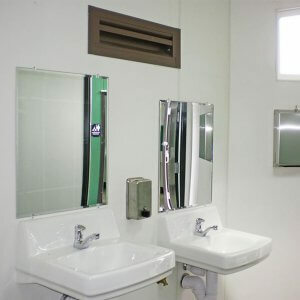 Self-contained restrooms with flush toilets and hand wash sinks. 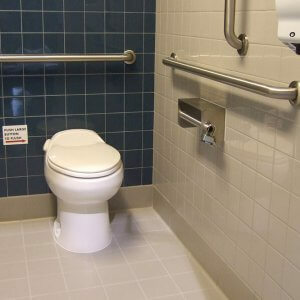 Providing a quality, ADA compliant flush restroom is one of the most cost-effective ways to increase your customer and visitor satisfaction. 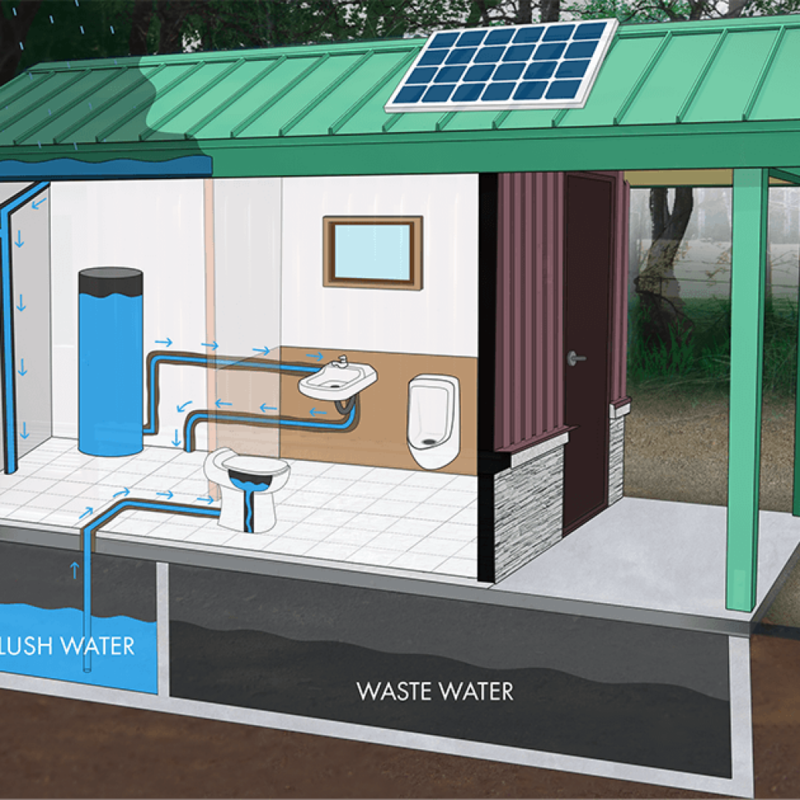 Now you can choose to have a pleasant flush restroom in a remote location instead of a smelly vault toilet. What Is a Green Flush Restroom? 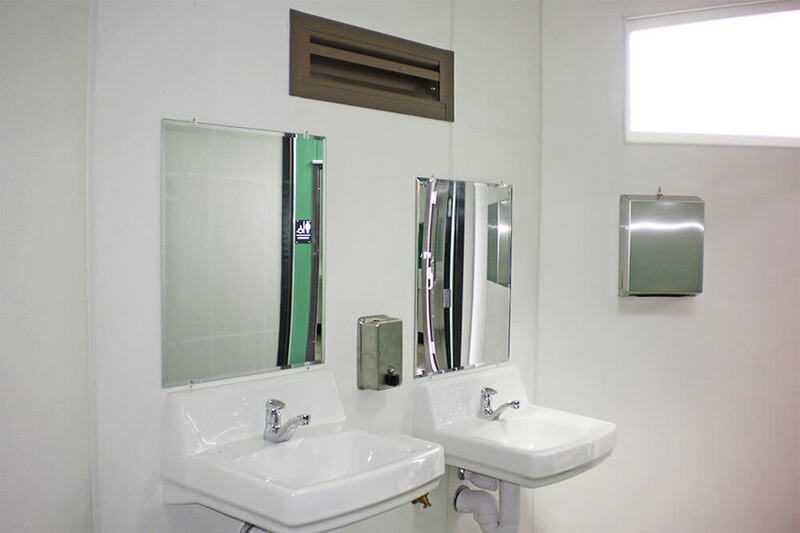 Our buildings are the perfect marriage between flush restrooms and waterless facilities equipped with vaults. Using as little as one-fourth as much water as conventional flush restrooms, our restrooms can go months before being serviced by a local pumping company. Unlike waterless restrooms, ours are guaranteed not to smell. 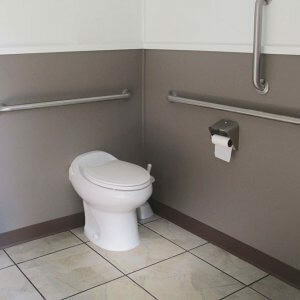 We provide the full experience and quality of flush restrooms without the major expense of connecting to sewer or septic systems. 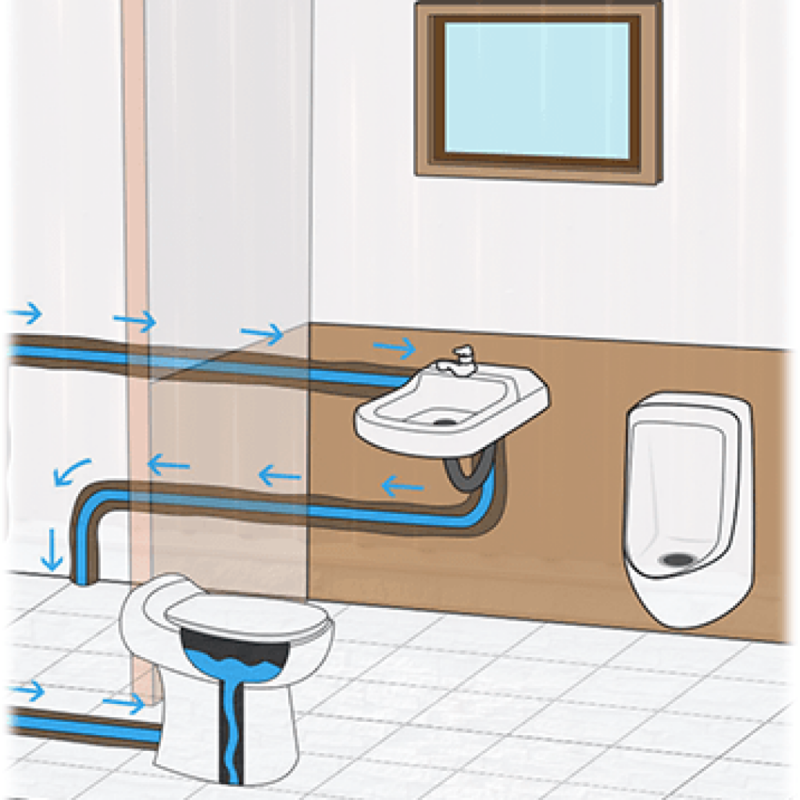 While investing in a conventional flush bathroom is a good decision, the installation of the required utilities may put the project out of reach or over budget. 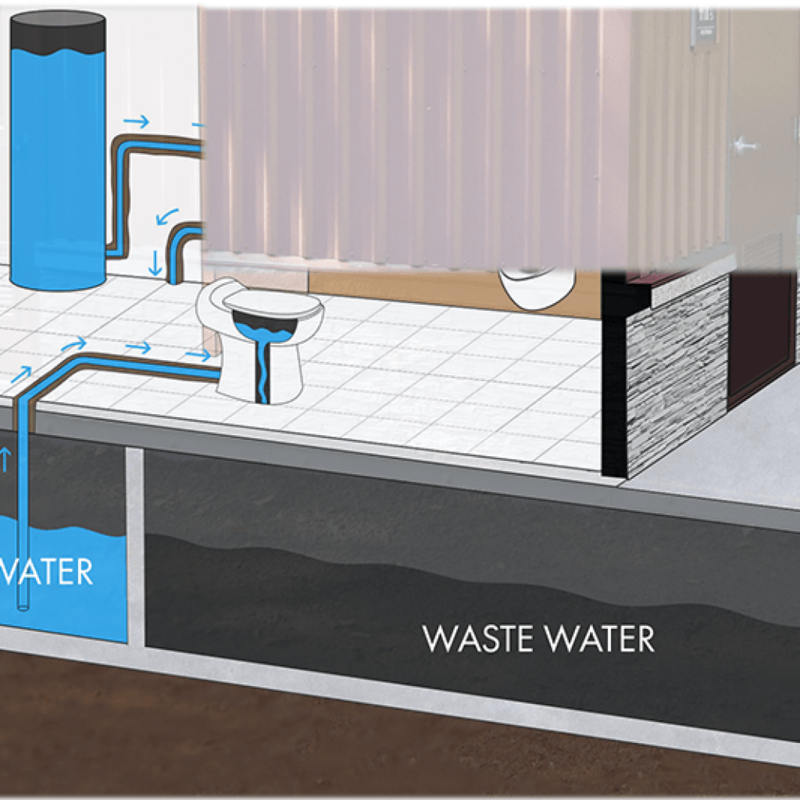 By dramatically reducing the amount of sewage produced and the amount of water and power needed, our customers have the option of not connecting to sewage, water, or power systems. This means that septic permits, service fees, and monthly utility billings are eliminated and the project’s capital cost is significantly reduced. 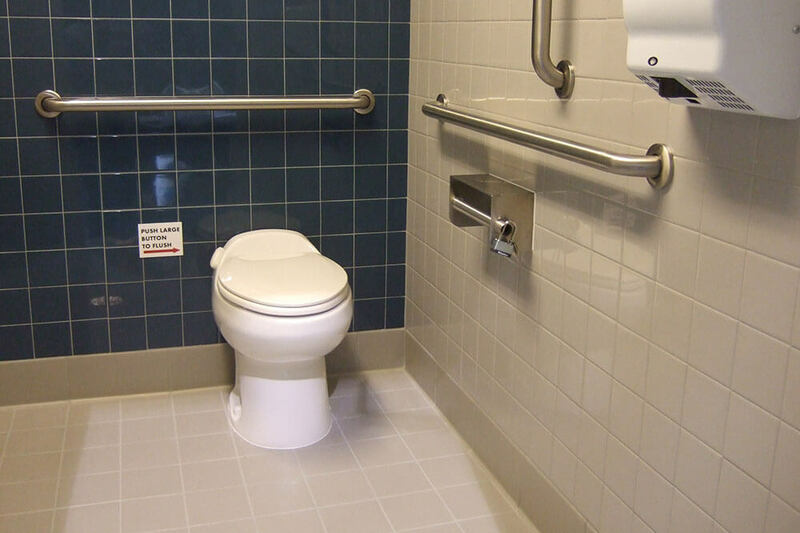 Green Flush vault toilets do not require utilities to function. We utilize solar power and extreme water-conservation techniques to provide a clean, environmentally-friendly experience. Hover over the image to learn more! Power alternatives include grid, solar, or battery. Optional for supplementing flush water. By using one quart toilets, waterless urinals, and low flow faucets we reduce water use by 90%. 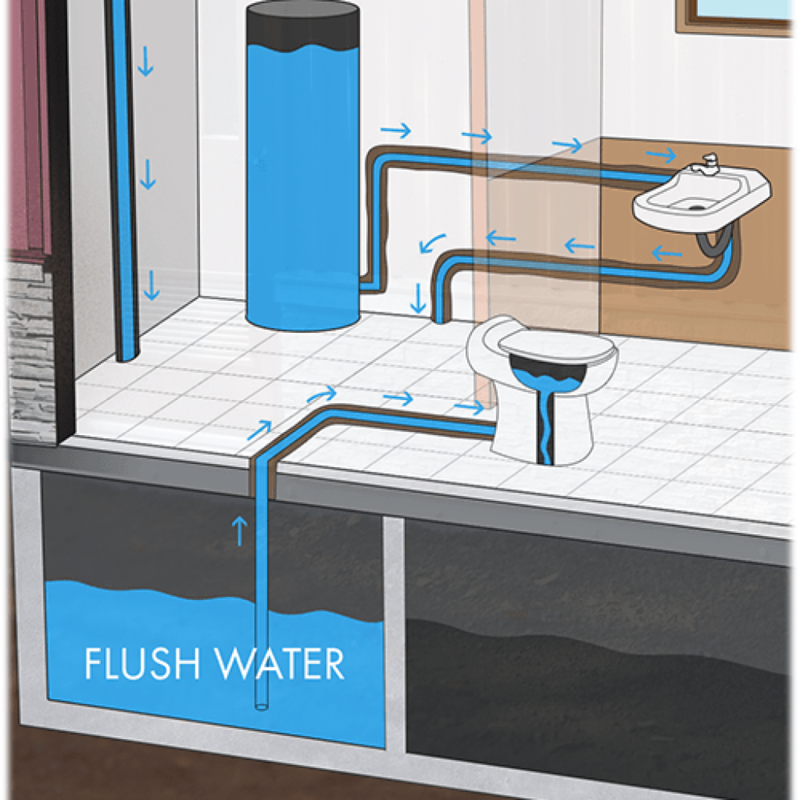 Used sink water can be filtered and reused for flushing. There is enough on board storage capacity of sink, flush, and waste water for thousands of uses. 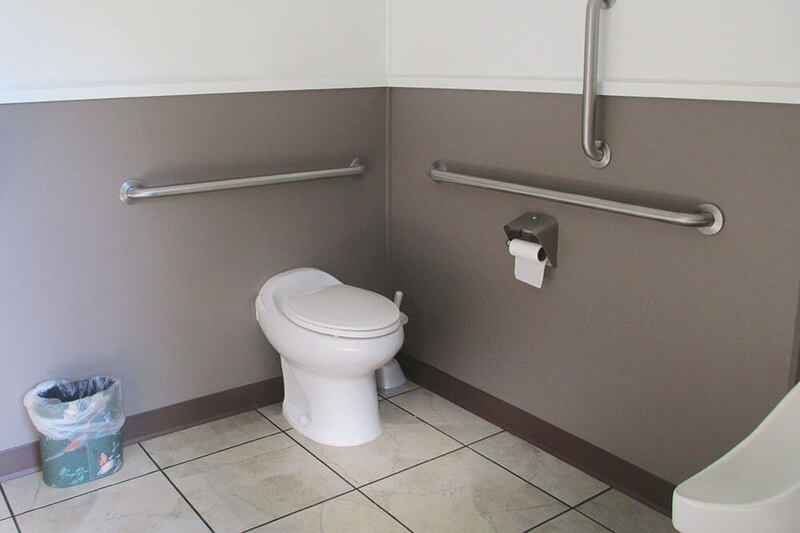 Green Flush Vault toilets do not require utilities to function. 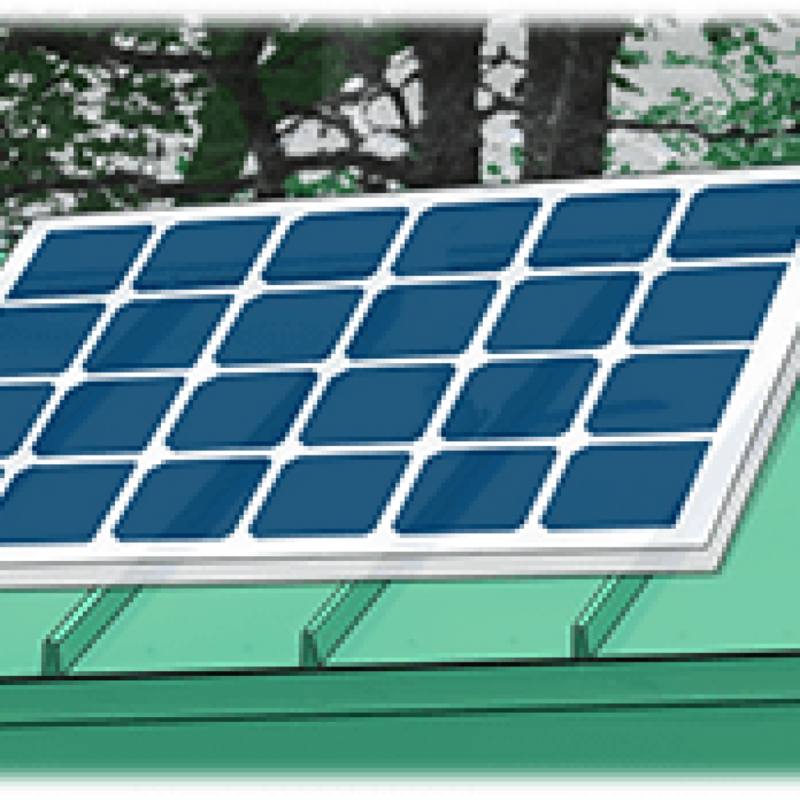 We utilize solar power and extreme water-conservation techniques to provide a clean, environmentally-friendly experience. Rainwater is collected and deposited into water vault underneath the structure. This is merely one option and that other options are available for supplying water if requested. Optional for supplementing flush water. 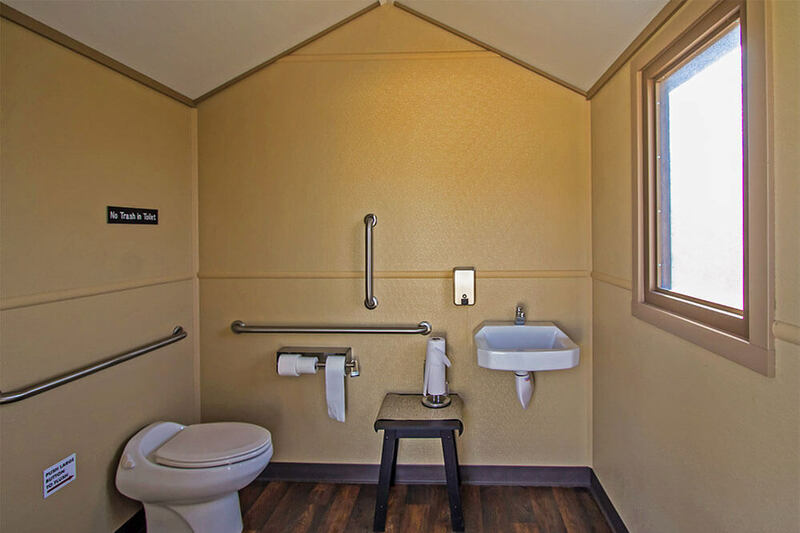 Click on the video above to learn more about why vault toilets are the quality restrooms you want and your customers deserve. 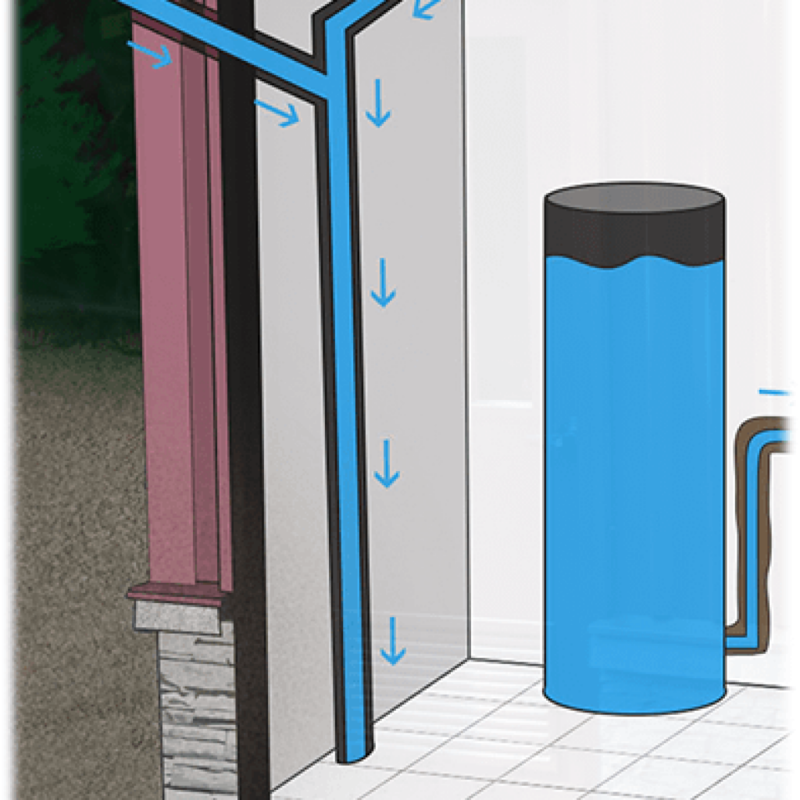 You will love how environmentally friendly and cost-effective the units are! 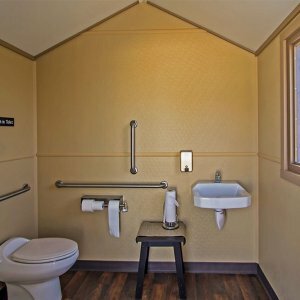 Green Flush Technologies is an industry leader in restroom advancements, building cost-effective, ADA compliant flush restroom buildings that are high quality, comfortable, odor-free, and “green”. We offer a new opportunity for those who are seeking to provide the very best customer experience.